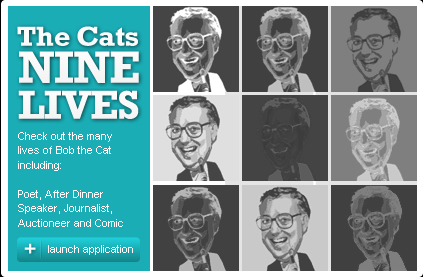 BOB “THE CAT” BEVAN MBE –one of the most versatile and popular comic entertainers on the after dinner and conference circuits. 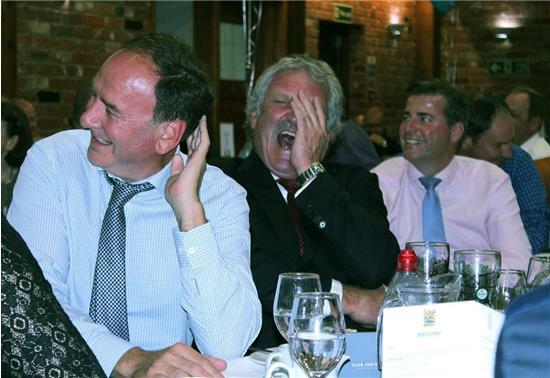 Starting with tales about his hopelessness as a goalkeeper he has developed into an all-round comedian, presenter, interviewer and auctioneer suitable for any audience. Not only has he appeared with many top comedians from the past – including Sir Ken Dodd , Eric Morecambe , Ronnie Corbett and Harry Secombe , but also Kevin Bridges , Jimmy Carr , Billy Connolly , Barry Humphries , Miles Jupp , Sean Lock , Jason Manford , Al Murray and Tim Vine to name but a few! Mate, your 40 minutes was the hit of the day. So many people came up to me afterwards to say how funny and engaging you were. Surfers Paradise, after a lunch for 400 in January, 2018. 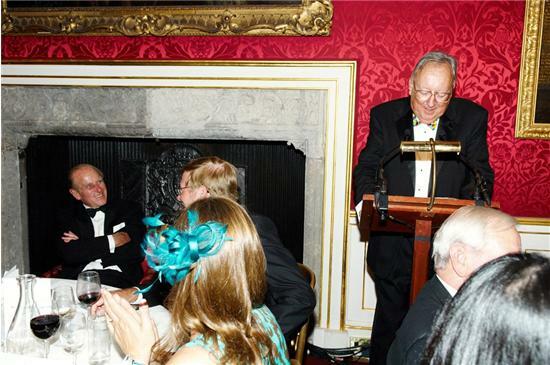 He is the first AFTER DINNER SPEAKER to be honoured by HM The Queen for after dinner speaking. He became only the second entertainer to be elected as President of a County Cricket Club at KENT CCC in 2013. Sir Richard Stilgoe at Surrey is the only other show business President. 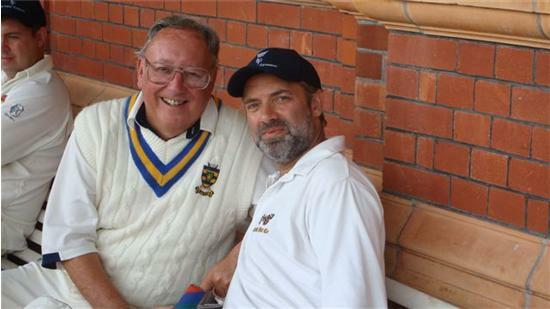 He was also PRESIDENT of the NATIONAL SPORTING CLUB in 2014, is a CELEBRITY AMBASSADOR for VARIETY the global children’s charity and a TRUSTEE of the LORD’S TAVERNERS. He has appeared at 77 of the 92 Premier and Football League Clubs, every County Cricket Club and over 100 Golf and Rugby Clubs. With his journalistic and PR background – after journalism he was Director of PR for a major PLC and a consultant - he has become a popular and entertaining INTERVIEWER . 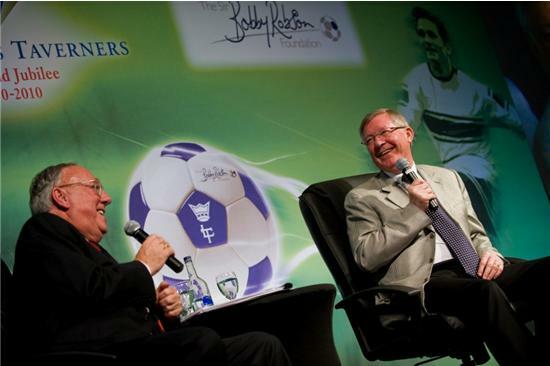 Among his interviewees are included Jimmy Tarbuck , Sir Ian Botham , Sir John Major and Sir Alex Ferguson . His COMEDY POEMS and SPEECHWRITING are also now in great demand. He wrote a poem for the retiring CEO of Rolls Royce and in 2017 for Lord Seb Coe . Other subjects of his poems have included former British Airways CEO Sir Rod Eddington , the late Ronnie Corbett (see You Tube) , David Gower , Gary Lineker , Roy Hudd and, most notably, HRH the Duke of Edinburgh . He wrote two comedy poems for dinners with the Duke who wrote one verse about the Cat! He was one of the comics booked to celebrate his 90th birthday at the Variety Club tribute, alongside the late Frank Carson , Barry Humphries and Al Murray . 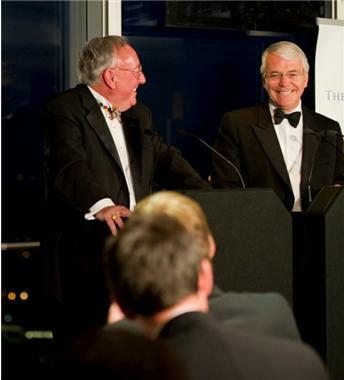 Previously he has worked on scripts and speeches for the Rugby Football Union , British Airways , William Hague , the late Sir David Frost and many other industrialists and politicians. In BROADCASTING he is a frequent guest on Sky Sports and Talksport , often appeared with Sir Terry Wogan on Aunties Bloomers , Channel 4’s Countdown and presented Six O Six on BBC Radio 5 . He was the BENEDICTINE AFTER DINNER SPEAKER OF THE YEAR and won the REUTERS JACKIE BLANCHFLOWER SPEAKERS TROPHY His best-selling book on his adventures as an after dinner speaker “Nearly Famous” went into two reprints in hardback and was subsequently published in paperback and on Kindle.